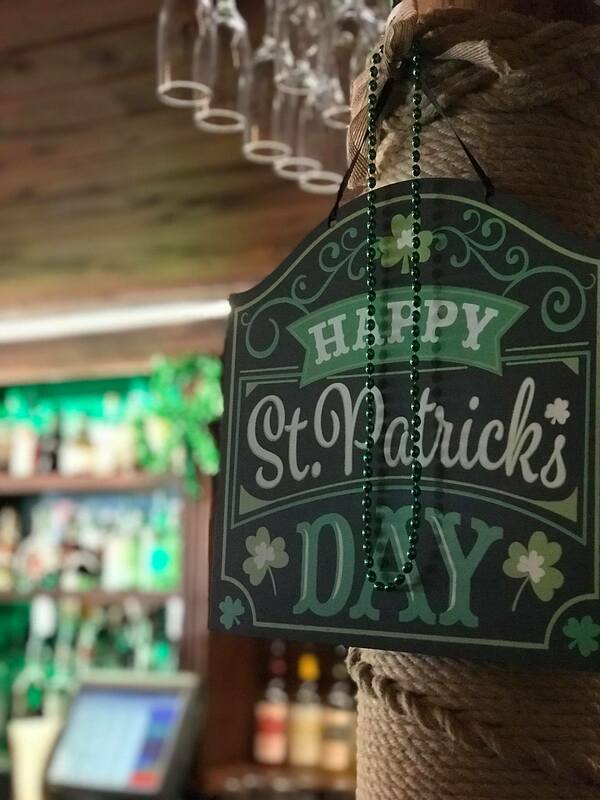 For us at The Galley, St. Patrick’s Day is not simply another reason for celebrating friends, food and cheer. It’s our passion! For one, Irish lies deep within the heritage of both Pete Boland and Ian Taylor, the owners of The Galley. As Irish Americans whose families were direct descendants from the motherland, both have a true love for Irish tradition and fare. This explains why the annual St. Patrick’s Day extravaganza at The Galley is much more than your typical celebration. When Pete Boland and Ian Taylor opened The Galley, they had a vision. They wanted to create a “public house” environment that mirrored true Irish pubs abroad. Pubs are the fabric of a community where food, friendship, and family all come together. It’s where events of the day are discussed, and where couples meet and festive celebrations held. This is the spirit behind The Galley as it continues to honor true Irish pub tradition. Creating this tradition in St. Petersburg was no accident. In fact, Pete Boland has worked in Irish pubs most of his career. In addition to getting his start at Bennigan’s, Pete has also enjoyed his time at McDinton’s in South Tampa and at Courigan’s here in St. Pete. And over the years, Pete has seen how the community here has embraced the St. Patrick Day’s festivities. Now as owner of The Galley, he brings his love of the Irish pub culture to life yet again. Believe it or not, Irish pirates have a much longer and richer history than those of the Caribbean. They often raided Britain, and around 400 AD, a group kidnapped and enslaved young Patrick at the age of 16. For the next 6 years, Patrick suffered greatly, which actually prompted him to turn to prayer. And after escaping his captors back to England, he eventually returned on a mission to bring Christianity to the Emerald Isle. It was Patrick’s return that led to St. Patrick’s Day being the celebration it is today. The true meaning of St. Patrick’s Day celebrates St. Patrick bringing Christianity to Ireland. But Patrick wasn’t even a Christian before his pirate capture. In fact, he had previously been an atheist. Therefore, it only stands to reason that without pirates, Patrick as a saint might have never existed. 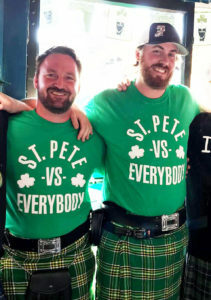 This is yet another reason we at The Galley feel such a close connection to St. Patrick’s Day. 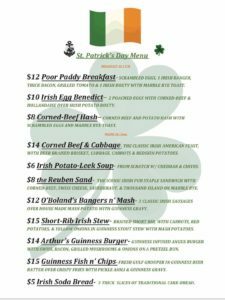 Authentic Irish Food, Drink and Music Makes The Galley’s St. Patrick Day Party the Best! 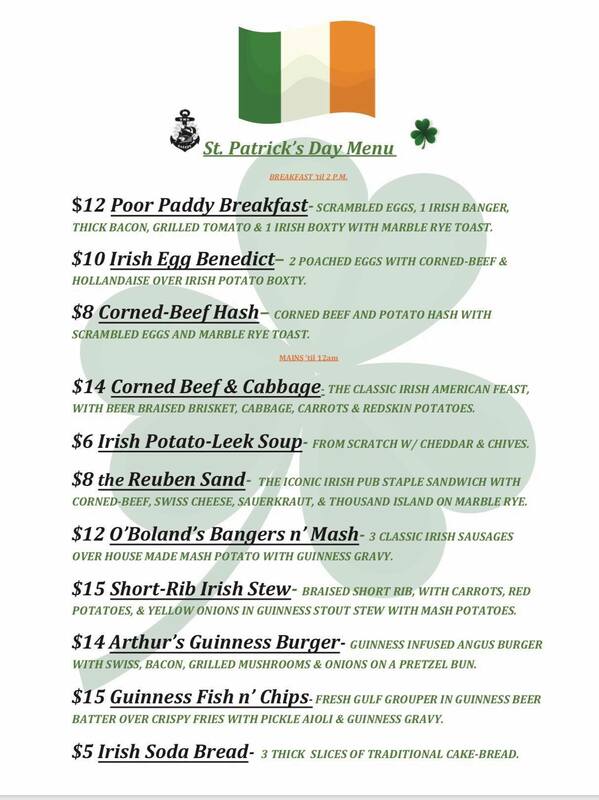 If you’re looking for a truly Irish St. Patrick’s Day experience, The Galley has got you covered. With his father, the late John Boland, being 2nd Generation American from the rich Irish Community in Buffalo, NY, St. Pat’s was always a big deal at the Boland house. 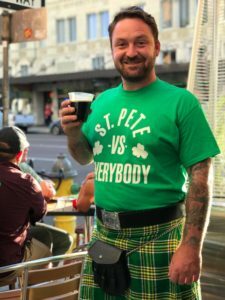 Not only will The Galley offer old school Irish recipes, but since Pete studied culinary arts at the Art Institute of Tampa, you can expect some delightful twists on the traditional. And naturally, pints of Guinness, properly poured to perfection, will be flowing along with Irish car bombs and more. But a true St. Patrick’s Day isn’t complete without real Irish music. Beginning Friday and lasting all the way through Sunday evening, music ranging from Irish folk to Celtic rock will be performed live at The Galley. Brendan Nolan, who is from Dublin, will kick things off with J.J. Smith and Cage O’Hanlon also on tap. Also, the Whiskey Dreggs will cap off the celebration with a variety of Irish tunes. 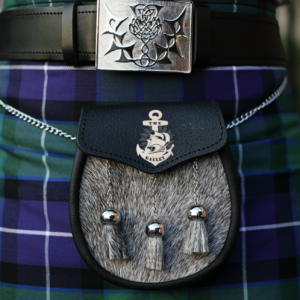 And bagpipes performances are scheduled at 1pm Saturday and 11am Sunday. This is a St. Patrick’s Day block party you will not want to miss! If you have attended any St. Patrick’s Day event, you know it’s about good times being shared with friends and family. It might be one of those times when you reconnect with a long-lost acquaintance. Or it might bring new relationships into your life you never expected. Either way, St. Patrick’s Day is the happiest of times celebrated with those you care about. And in true Irish pub fashion, The Galley wants you to call our pub your home for St. Patrick’s Day this year.